Inventory, eCommerce, data, loyalty, payments, more. iPad ePOS, menu, tables, floor plan, reports, more. Need to manage your stock, sales, data and customer relationships? Do it with the only all-in-one POS on the market. Whether you’re starting or already have several locations and no matter what you sell, Lightspeed Retail helps you manage your entire business from one place. 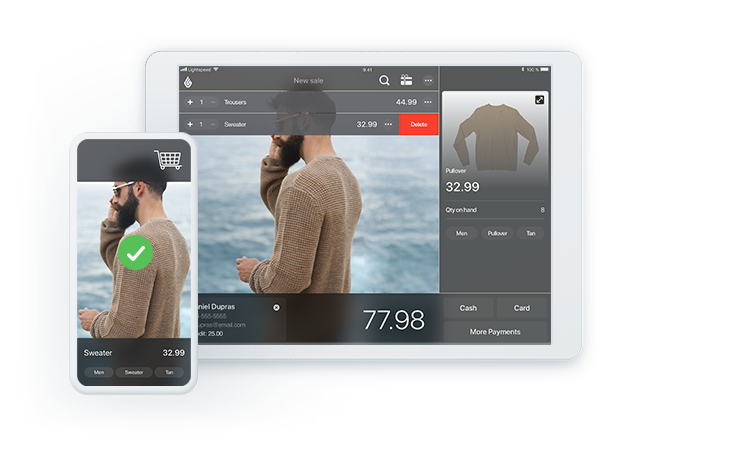 Our cloud-based point of sale covers your needs like a fast checkout, clear inventory and customer data, as well as purchase or work orders, but that’s not it. Need in-depth intel about how your store is doing? The POS tells you everything with usable business data. You can even sell online with our platform that pushes your POS stock on the web. We can’t tell you everything it does in a paragraph, so click below to learn more. With our own worst shifts in mind, we created an iPad point of sale that would solve any service problem. 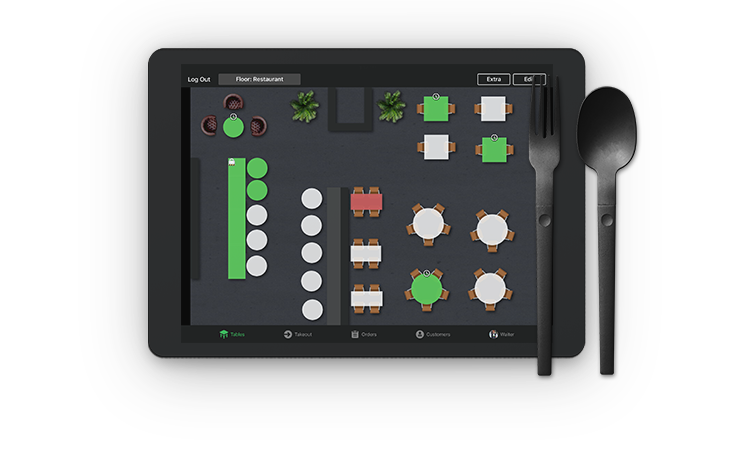 Designed for all types of restaurants, bars, hotels, or nightclubs, Lightspeed lets you manage your menu, floor plan, orders, customer info, without any service interruption. Even when the Internet is down, the iPad POS works offline. When your day is over, close everything in one tap, and with a cloud-based POS, you can check your sales numbers right away or wait until you’re home. Want to know everything our POS can do for you?